Being gluten free is tricky when it comes to bread since most of the ones out there are total crap. What I love about being gluten free is it has forced me to get creative with using wholesome, real foods to replace what I miss. In this case, I miss bread! But not with these tasty sweet potato toasts! 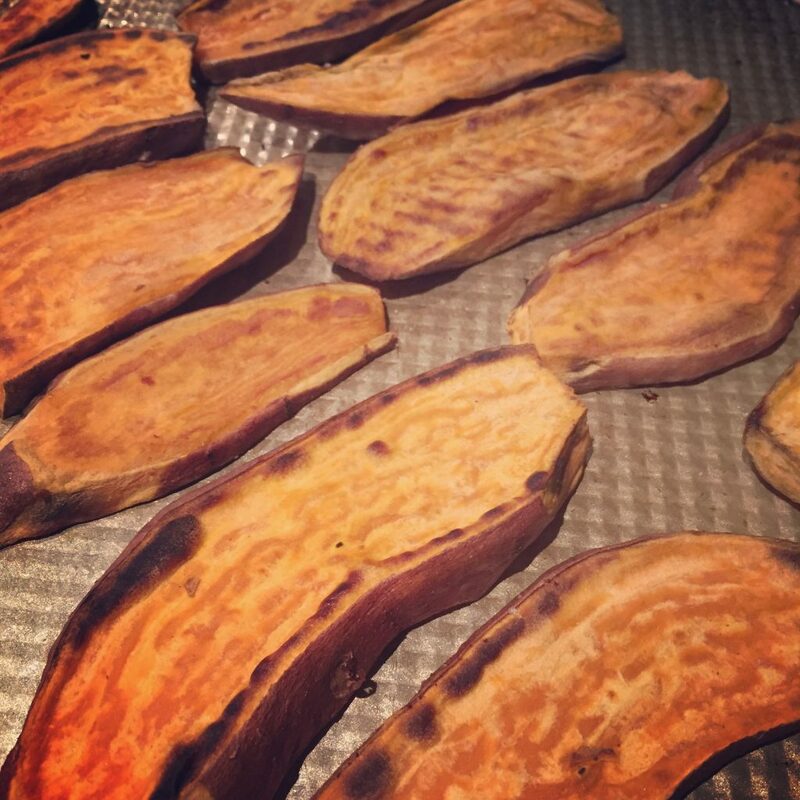 At some point of each week I’ll slice a bunch of sweet potatoes about 1/4 inch thick, brush them with a little avocado oil and roast them in the oven on 400 for about a half hour (flipping halfway through). I keep in the fridge but take out and toast as needed. I mostly use them for breakfast to make avocado or hummus toast with a fried egg, sauerkraut, and Trader Joe’s everything but the bagel spice – of course!